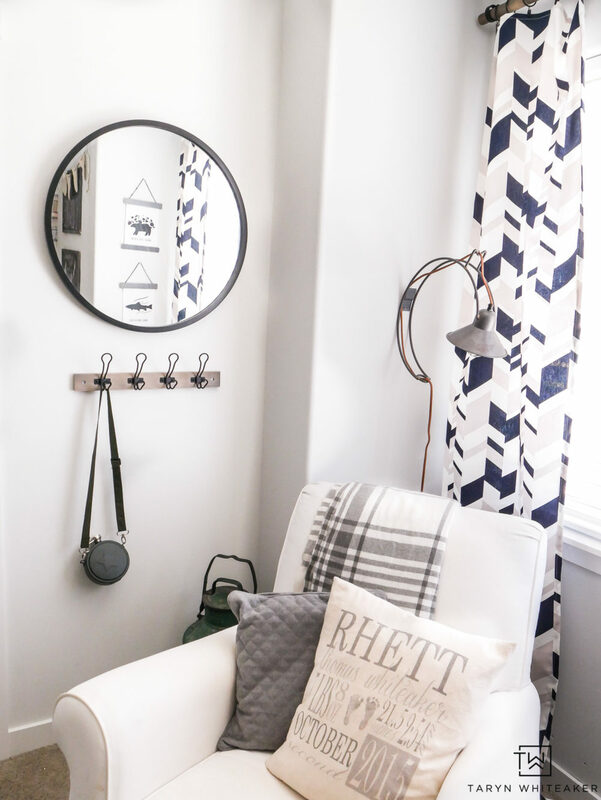 After every room reveal I always get a bunch of questions about where I purchased this and that for the room, so I am here today to give you one big source list for Rhett’s big boy room! Everything from the light fixtures to wall color and all the furniture and accessories. A few of the items are no longer available online but I did my very best to put together a pretty comprehensive list of this boy room shopping sources! If you have any additional questions, feel free to leave a comment and I’ll do my best tracking things down! 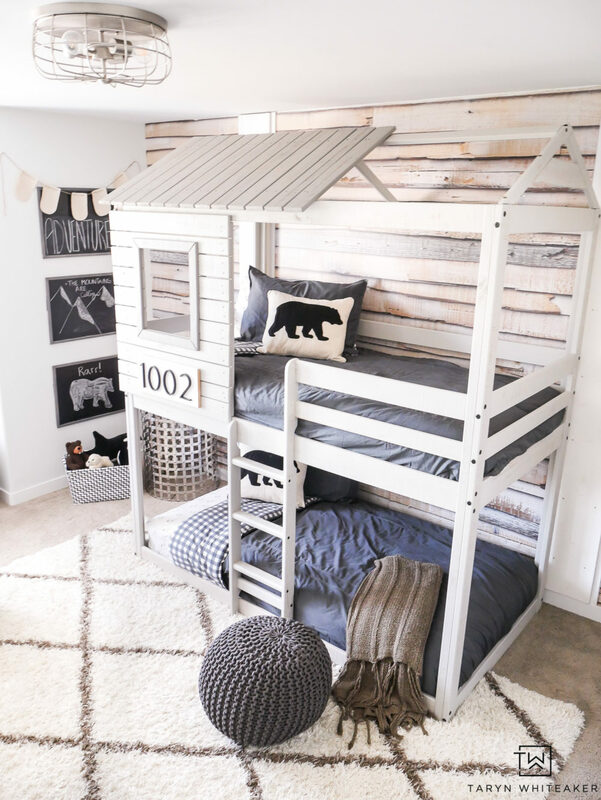 In case you missed the big reveal, here is a peek at his new boy room complete with an adorable treehouse bunkbed set! I actually didn’t make a ton of changes from the nursery, but the ones I did make made a big impact. Click each image to head directly to the product page! One of the most asked questions about the room was actually about the curtains! I found this Nate Berkus fabric at Joann Stores and made the curtains myself! They were very easy and the fabric was on sale too!